Please note: Transparent OLED screens are currently unavailable within the market. 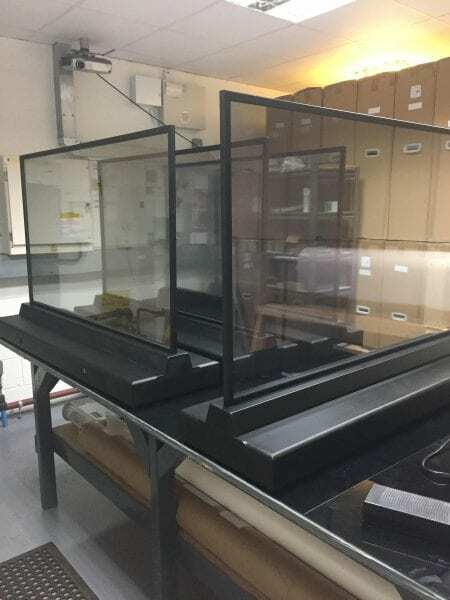 For our other transparent screen solutions, please see our Transparent LCD product page. 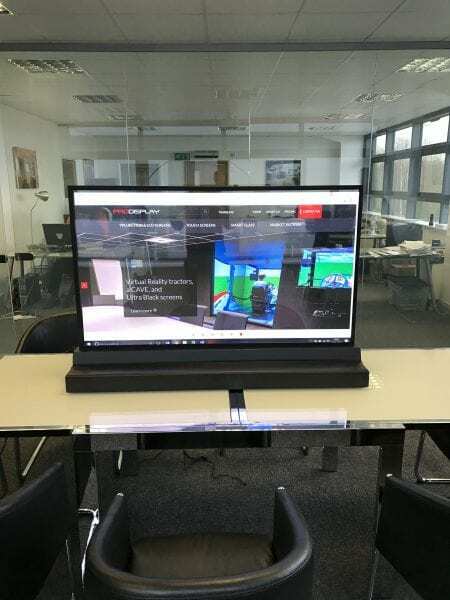 Transparent OLED screens are a stunning new development in digital signage and display technology that is used to communicate dynamic or interactive content via a transparent surface. Viewers can see what is shown on the screen whilst still being able to see through it. 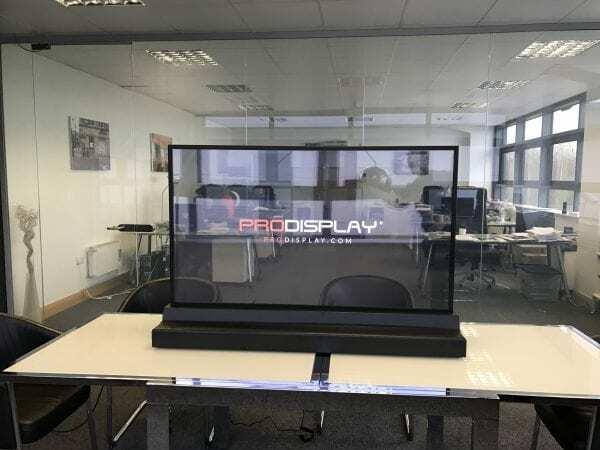 This display solution allows designers to overlay digital content such as images, text and video onto to real-life objects placed behind the transparent screen. OLED stands for Organic Light Emitting Diode, a technology which eliminates the need for a backlight or enclosure. Standard Transparent LCD screens require backlighting to create a visible image, whereas Transparent OLED screens are made up of millions of pixels that each emit their own individual light. 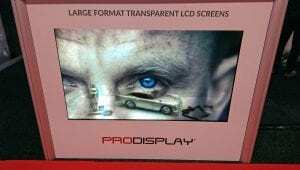 This opens up a whole new field of creativity in digital signage that even transparent LCD screens cannot offer. Unlike Transparent LCD screens, transparent OLED screens display black content as transparent instead of white content. This puts a different spin on the merchandising process, offering new ways to communicate in an imaginative way with your audience. 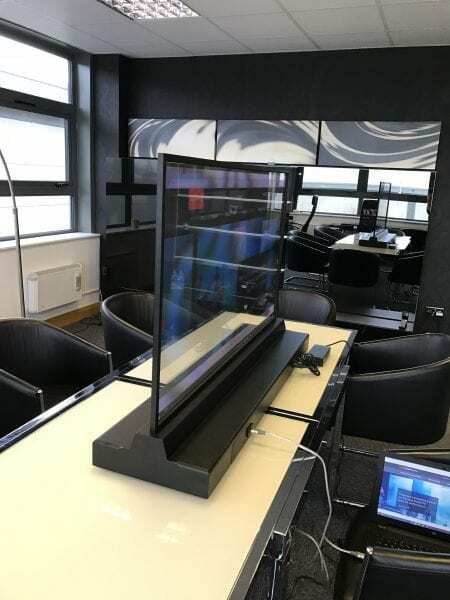 Transparent OLED screens can also be combined with Pro Display’s touch frames to create interactive transparent screens. There is little else that delivers such a memorable experience as interacting with images created by an OLED screen. 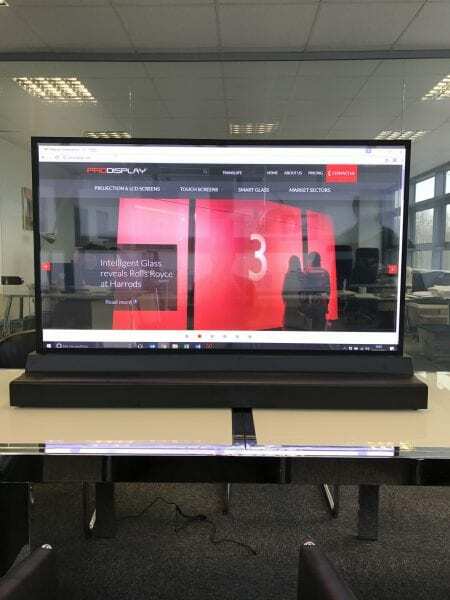 The benefits of touch screen technology are well documented, and when combined with transparent OLED screens, you are sure to see your customers interacting with your content in ways you have not seen before. Retail windows, interactive booths, digital signage, display cases, interactive games, vending machines, drinks coolers… the uses for transparent OLED screens are limited only by your creativity. Diagonal screen sizes – 55″ maximum size. If you like the look of our Transparent OLED screen, then you’ll love our Transparent LCD screens. 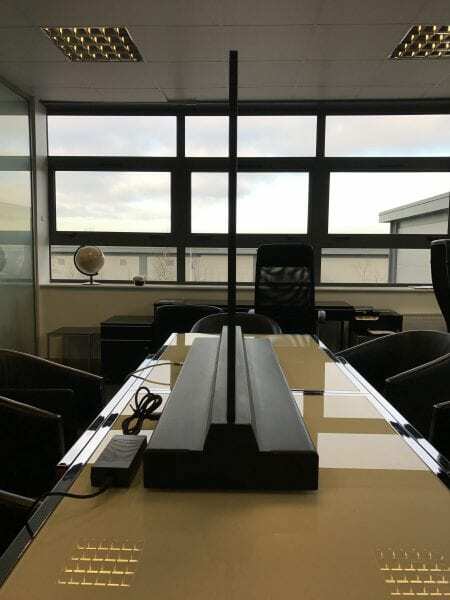 Click here to find out more information about this product, or alternatively, please get in touch to enquire using the form below. 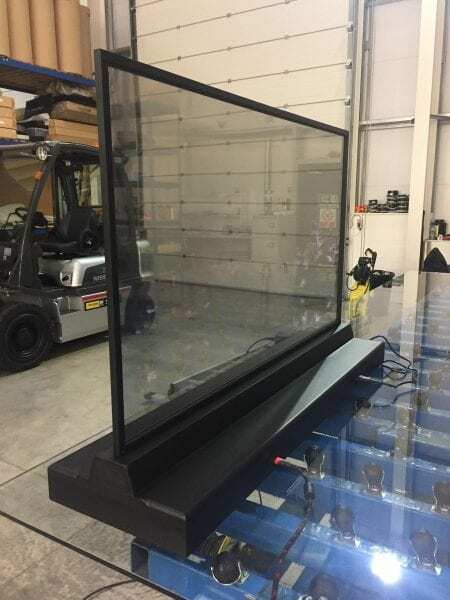 We manufacture in Britain and ship worldwide – if you need further information, a pricing quote, or want to discuss ideas for using our Transparent OLED Screen please complete the form below, or call us on +44 (0)1226 361 306.